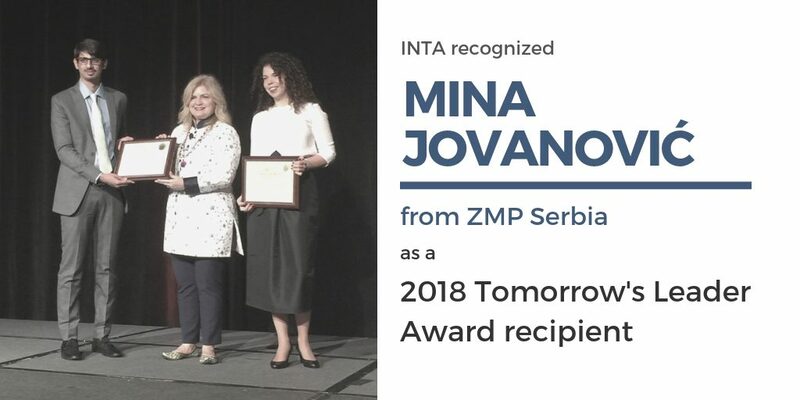 Mina Jovanović from our Serbian ZMP office is a recipient of the INTA’s 2018 Tomorrow’s Leader Award in recognition of her early leadership merits in the intellectual property (IP) industry. INTA presents the award annually to two outstanding professionals who have been practicing trademark law for five years or less, to inspire the next generation of IP professionals and to help accelerate the development of the recipients within INTA and the global trademark community. Ms. Jovanović joined Živko Mijatović & Partners in 2016 and has handled prosecution matters, opposition and appeal proceedings, enforcement, litigation, and various aspects of intellectual property law. 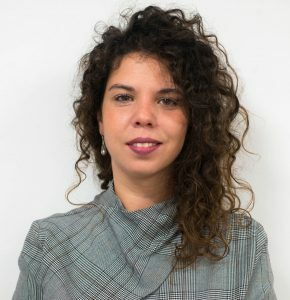 She has a master’s degree in intellectual property law and is a Ph.D. candidate at the Faculty of Law, University of Belgrade, currently completing her Ph.D. thesis on the protection of famous trademarks. Ms. Jovanović received the Tomorrow’s Leader Award at INTA’s 2018 Leadership Meeting in New Orleans, Louisiana, in early November. As an award winner, Ms. Jovanović has the opportunity to serve on an INTA committee and to obtain an INTA mentor. She received complimentary registration to the Leadership Meeting and will receive complimentary registration to INTA’s 2019 Annual Meeting in Boston, Massachusetts, next May.